United is following Delta SkyMiles and Air France-KLM Flying Blue’s lead in switching to dynamic pricing for all flights, and Malaysia Airlines Enrich for their own flights. Here’s the official page announcing the changes. Dynamic pricing means that the price of an award will fluctuate according to demand. 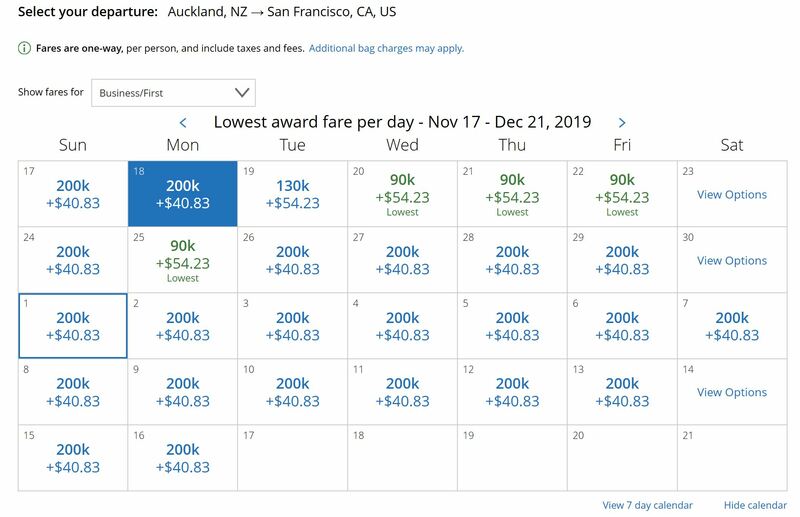 In the example below, you can see that a one-way Business Class ticket from Auckland to San Francisco is pricing at 90,000 miles during off-peak periods but jumps significantly in the leadup to Christmas. Effective immediately, for travel from 15 November 2019 onwards, redemptions for United-operated flights are moving to a dynamic pricing model. 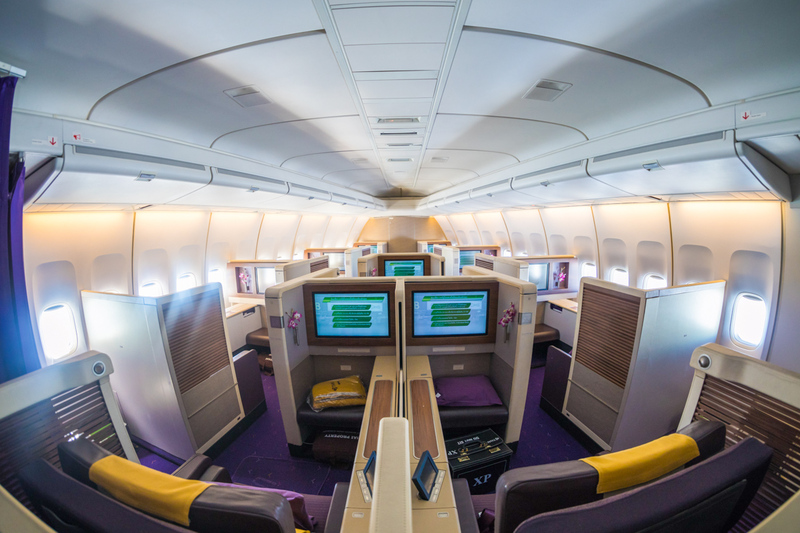 For example, up until mid-November, you can book a one-way Business Class flight from Auckland to San Francisco for 90,000 miles. However, for the three months of travel after the changes kick in, I can see only a few days with a flight pricing at that level, with all of the rest of the days costing 200,000 miles. One positive change is that close-in ticket fees are abolished for travel from 15 November 2019. 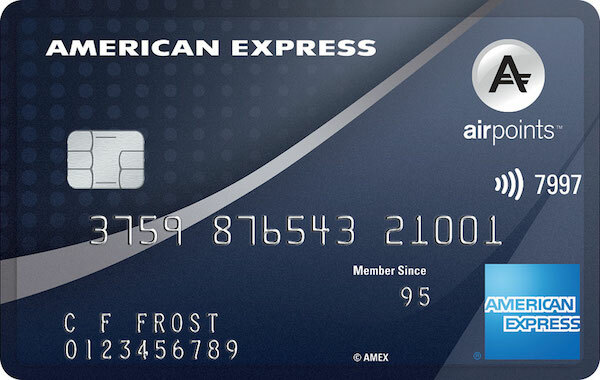 That will save $75/50/25 for general/Silver/Gold members when making a redemption within 21 days of departure. Another (small) positive is that mileage credit will now post almost immediately after taking a flight. As of now, we do not have plans to remove the partner award chart, but that could change in the future. Changes to upgrade pricing have not been announced. New Zealand-based frequent flyers usually access United miles by buying them during promotions. Moving forward, the attractiveness of this option is vastly reduced. Buying Airpoints Dollars, Avianca LifeMiles and using other Star Alliance points currencies will be better for travel on partner airlines. However, note that Singapore Airlines KrisFlyer is increasing the price of partner redemptions on 16 April. Will this help or hurt United? Conventional wisdom states that dynamic pricing is a win for the airlines, as they are able to optimise the revenue generated from each award redemption. However David Feldman, Airline & Hotel Loyalty Expert, while agreeing with this view in the short term, believes there is more to consider in the long term. 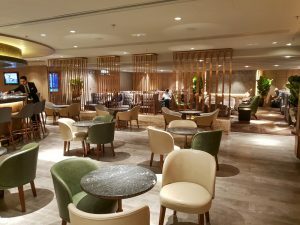 In his view, the value of frequent flyer programs lies predominantly with co-brand revenue; that is, airline co-branded credit cards, crediting hotel stays and rental car bookings to MileagePlus and so on. And growth in co-brand revenue needs to come from more than just engaged corporate flyers and Global Services members, but from those customers who fly once a year or less, which make up around 50% of United’s flight revenue. The risk for United in the long term is that by removing award charts and essentially killing aspirational redemptions, they ultimately risk reducing affinity for the Mileage Plus currency, which in turn would negatively impact revenue growth in the future. These changes will not affect most Point Hacks readers. Rather, it is more advanced frequent flyers buying United miles who won’t be happy with this news. I fully expect partner awards to move to dynamic pricing at some stage this year. I also predict given both Delta and United have switched to dynamic pricing, American Airlines AAdvantage will follow suit. 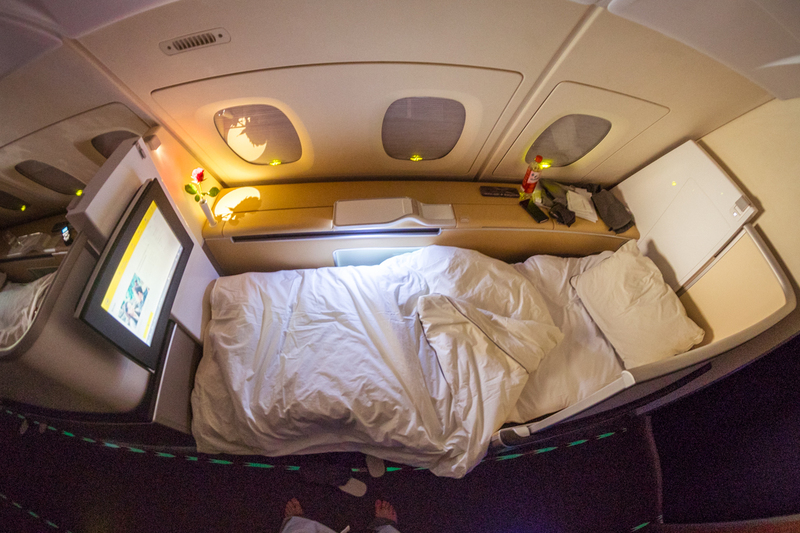 For example, 40,000 AA miles for a one-way Business Class flight from New Zealand to Asia is now unsustainable and the program has no incentive to hold out. I would also not be surprised to see other non-US loyalty programs to adopt a dynamic pricing model. That’s more likely if the customer backlash against United is not too severe. Watch this space. If you have a United MileagePlus balance, my advice would be to use it for travel on United before 15 November 2019, or for a partner redemption. It would be better to lock in any partner flights now. This will buffer you against an expected removal of their award chart in the (near?) future. 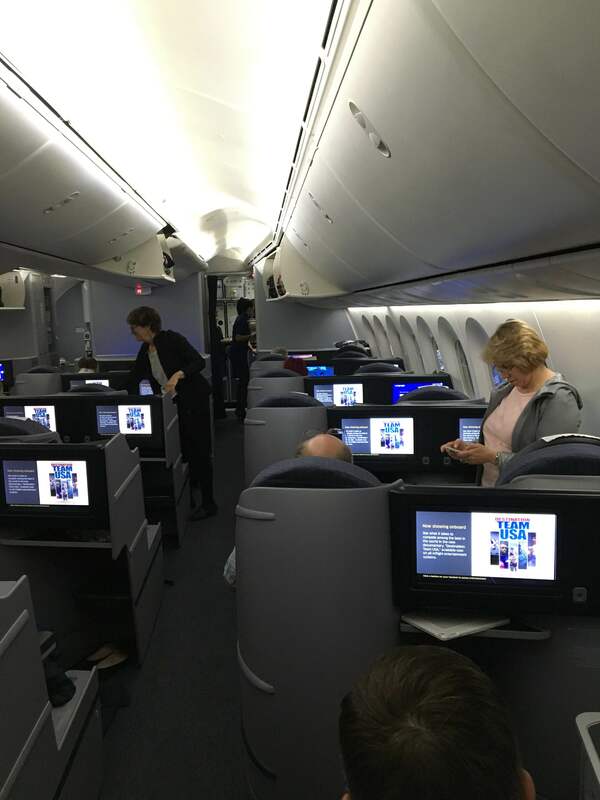 Moving forward, it will be easier to get value from United miles for travel in Economy Class on off-peak dates rather than premium cabins, especially during peak travel periods. What is your take on the removal of award charts by United? How will this affect your redemption strategy moving forward?